Among the many Lafayette alumni who have distinguished themselves in judiciary careers is Massachusetts Superior Court Judge Frank Gaziano ’86. 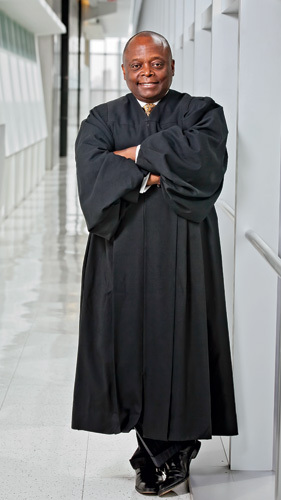 Whether something is right or wrong is often characterized as black or white, but Judge Alvin Yearwood ’83 says the reality is many shades of grey. 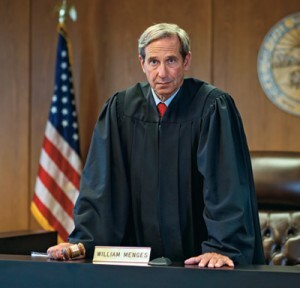 In Howard County, Ind., a program begun by Superior Court Judge William Menges Jr. ’73 to break the cycle of drug addiction and crime takes that step beyond a court sentencing. Defendants participating in the Adult Drug Court Program, established in 2007, may avoid criminal prosecution by agreeing to complete a substance-abuse treatment program, remaining alcohol and drug free, and completing other requirements determined by the drug court team and Menges. 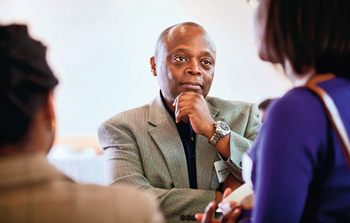 He recently launched a Reentry Program to support people released from incarceration. “In the drug court program, we have about a 60 percent graduation rate and about 12.5 to 14 percent recidivism rate among graduates,” says Menges, a psychology graduate who earned his law degree at University of Tulsa. In the past three years, he adds, none of the graduates from the reentry program has relapsed, and the graduation rate is 60 percent. Today’s judiciary is indeed about more than just crime and punishment. “Judges are not just dispensers of justice. They have to try to help people turn the corner,” says Robert Freedberg ’66, a judge in the Northampton County, Pa., Court of Common Pleas for 28 years, including 17 as president judge, after which he served four years on the Superior Court of Pennsylvania. A government and law graduate to whom the College awarded an honorary Doctor of Laws degree in 2002, Freedman holds a law degree from Columbia University. He is now an attorney in the Bethlehem office of Florio Perrucci Steinhardt & Fader. Since being appointed to the bench by then-Massachusetts Gov. Mitt Romney, Judge Frank M. Gaziano ’86 has strived to be the judge that he would want to appear before if the situation ever arose. Now a Massachusetts Superior Court judge, he says gang-related homicides are the most challenging of his cases. Every day Gaziano draws on his experience as a state and federal prosecutor. He also is guided by his Lafayette education. A government and law graduate, he holds a J.D. from Suffolk University. “Jacob Cooke and Richard Welch gave me an appreciation for the law, particularly its influence on American history,” he says. In a highly litigious society, the court system can become a bottleneck to justice. For James J. “Jim” Ryan ’56 more of his work took place outside of the courtroom than inside. He presided primarily over civil cases during almost 12 years on the bench as a Circuit Court judge in Cook County, Ill.
Ryan relied on wisdom gained during many years as a trial lawyer, often representing clients in complicated structural litigation, and his education in industrial engineering at Lafayette and law at University of Wisconsin. “I have done a lot of things in my life, but being a judge was the most important. Society puts a great mantle on us. Judges are important—not in the personal sense, but in the sufficient operation of a constitutional government and freedom,” he says. Occasionally in the community, Freedberg encounters an individual whom he has sentenced. “You might think that would be scary. But I’ve found that when people you’ve sentenced come up to you and want to talk, they typically want to tell you how well they’re doing and how they’ve changed their lives,” he explains. Seemingly these individuals, who paid their debt to society, find solace in reassuring a person whom they respect and who was the springboard to their changed and more productive life.